Each weekend between now and the end of construction season this fall, we will be sharing the latest road project update from District Three of the Ohio Department of Transportation for work in Ashland, Crawford, and Richland Counties. US 42, between SR 603 and Bowen Rd., is closed for a bridge replacement. The detour route for northbound motorists is US 42 to US 30, east on US 30 to I-71, north on I-71 to US 250, west on US 250 to US 42, and reverse for southbound motorists. A secondary detour route for southbound motorists is US 42 to SR 603, south on SR 603 to US 30, west on US 30 to US 42, and reverse. The road is expected to reopen on June 14. SR 58, from US 250 to the Lorain County line, will be reduced to one lane of traffic for a resurfacing and bridge repair project. Traffic will be maintained by flaggers. The project is expected to be complete in September. SR 58, between US 224 and Twp. Rd. 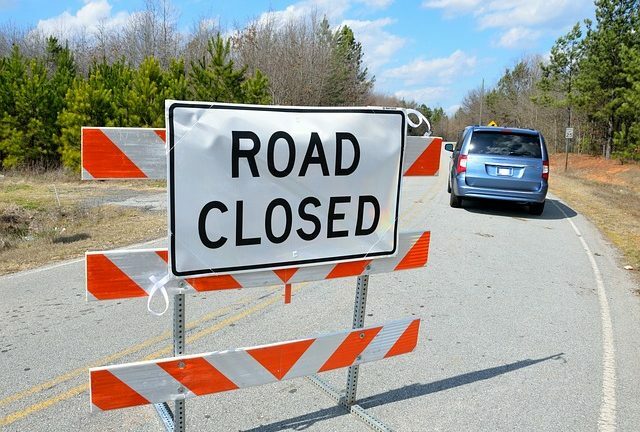 350, will close Monday, April 15 for a culvert replacement. The detour route for southbound motorists is SR 58 to US 224, west on US 224 to SR 511, south on SR 511 to SR 302, east on SR 302 to SR 58, and reverse for northbound motorists. The road is expected to reopen on Friday, April 19. SR 511, from SR 39 to US 30, will have single lane closures for a chip seal project. Traffic will be maintained by flaggers. The project is expected to be complete in July. SR 19, between Clay St. and Prospect St. in the City of Bucyrus, is closed for a railroad crossing repair. The detour route for westbound motorists is SR 19 to SR 602, north on SR 602 to US 30, west on US 30 to SR 19 (N. Sandusky Ave.), and reverse for eastbound motorists. The road is expected to reopen on Tuesday, April 16. US 30, between Lower Leesville Rd. and Old Lincoln Hwy., have the left lanes eastbound and westbound closed to traffic. Portable barriers have been set so that crews can begin structure work; traffic is shifted onto the right shoulder at the structures. Crews are currently performing pavement repairs on the west end of the project. Work zone speed limits are in effect. The speed limit when workers are present is 55 mph, and 65 mph when workers are not present. The project is expected to be complete by October. SR 13, from the City of Mansfield Corp. limits to the Huron County line, will have single lane closures for a smooth seal project. Traffic will be maintained by flaggers. The project is expected to be complete in June. SR 39, between SR 430 and the City of Mansfield Corp. limit, will have single lane closures for a smooth seal project. Traffic will be maintained by flaggers. The project is expected to be complete in June. SR 39, between Stiving Rd. and Springmill West Rd., will be reduced to one lane of traffic in each direction over the Norfolk Southern railroad. Crews will be completing structure work on the bridge. The project is expected to be complete in June. SR 97, just south of Butler, Ohio, is closed for a bridge replacement. The detour route for eastbound motorists is SR 97 thru Butler to SR 95, north on SR 95 to SR 39, east on SR 39 to SR 97, and reverse for westbound motorists. The road is expected to reopen on May 31. I-71, between CR 32 (Mock Rd.) to the Ashland County line, will have daily lane closures northbound and southbound for a resurfacing project. Crews will be sealing concrete and completing minor structure repairs. The project is expected to be complete by August. SR 598, from the Crawford County line to the Huron County line, will have single lane closures for a smooth seal project. Traffic will be maintained by flaggers. The project is expected to be complete by June. SR 603, between SR 39 and Franklin Church Rd., will have intermittent single lane closures as crews complete crack seal work. Traffic will be maintained by flaggers. The project is expected to be complete in May.